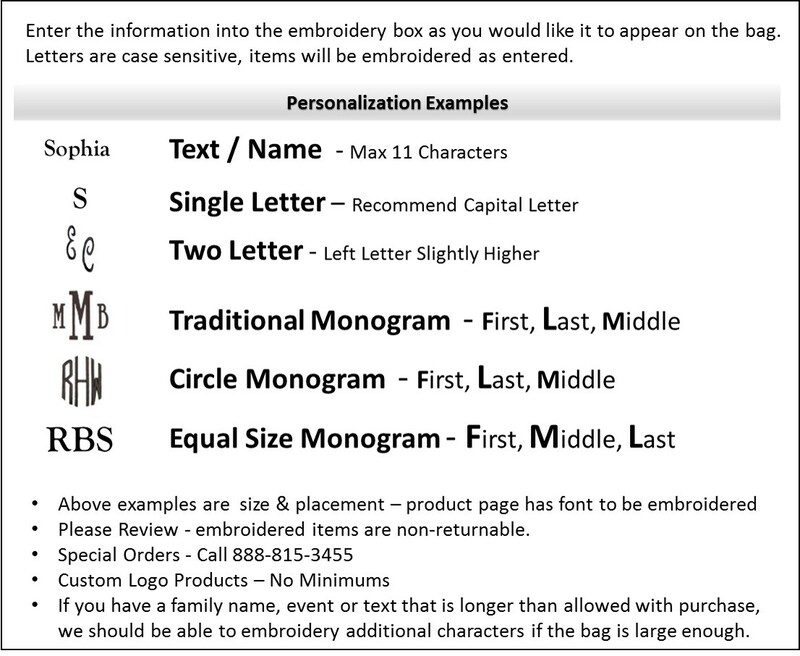 Women's lunch bag insulated that can be monogrammed. This turquoise blue geometric lunch tote features a front pocket, longer carry handles, and tall enough for water bottles or food containers. Practical with an easy clean exterior. Folds flat for storage, grey vinyl lined, zipper closure. 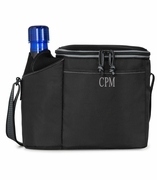 The lunch bag for women can be personalized with name or initials and measures 10" height x 7" wide x 5" across bottom. Seriously, I recommend this sight so so much!! They have so many options and their shipping for me was so quick. It came out exactly how I wanted it to! Also so affordable but quality as well. For my bridesmaids. When they arrived (just a few days after ordering) I was impressed with how nice they looked. They are very cute and have plenty of space for packing a nice lunch. Love it and the customer service! I needed a new thermal lunch bag and I looked around for a bit before finding this one. I wanted an outside pocket as well as a monogram and this one seemed to fit the bill. I didn't want the traditional 3 letter monogram but instead Madame Smith. That was too long for the monogram box so I abbreviated in to Mme Smith and ordered. Within 5 minutes of submitting my order someone from customer service called to ask if I had misspelled Mme. I told her no and explained what I had really wanted Madame (I'm a French teacher). She said would it be okay to stack it (two lines). I said Of course! She asked if I wouldn't mind holding so she could go ask the seamstress if that would be possible. She came back a couple of minutes later and said the seamstress would be able to do that. Wow! I was so impressed with the immediate response and personal attention to detail. Got the bag 4 days later, and I love it! It's so cute and will do what I need it to do for the next few years. Merci beaucoup!